The past week the British Safety Council has been learning more on how its members are addressing topical health and safety focuses – occupational health and the green agenda. 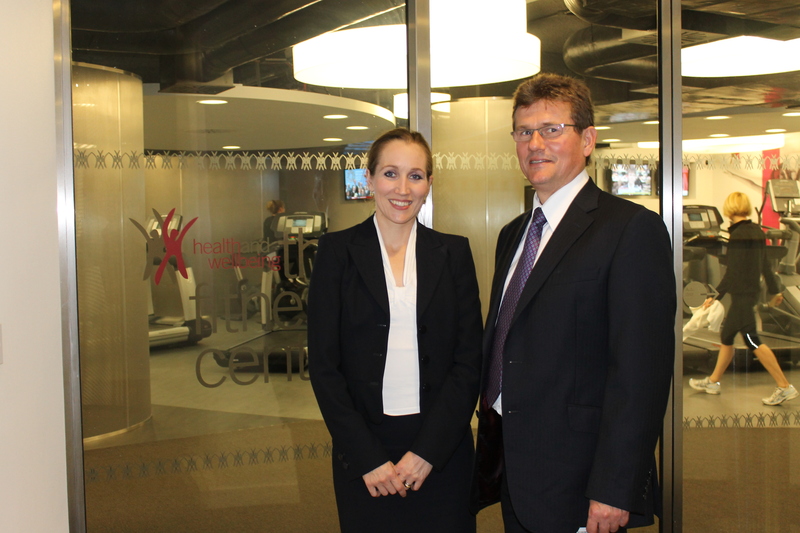 Global law firm Linklaters invited the British Safety Council for a tour of its London offices to understand first-hand what they are doing with their staff in relation to managing occupational health and safety issues. The focus on work stress is important given the firm has recognised ill health presents far greater risks than accidents to its employees therefore aligning its health and safety policy to reflect this. With a workforce of about 1,800 in London, the health and safety team led by Peter Kinselley are focussed on engaging its large workforce with a variety of awareness-raising initiatives, training and support. The British Safety Council was given an overview of the team’s many initiatives covering mental health talks, confidential support services and well being road shows. A tour of the firm’s extensive catering facilities serving healthy meal options using local produce, a well equipped staff fitness centre and detailed waste management system, followed. 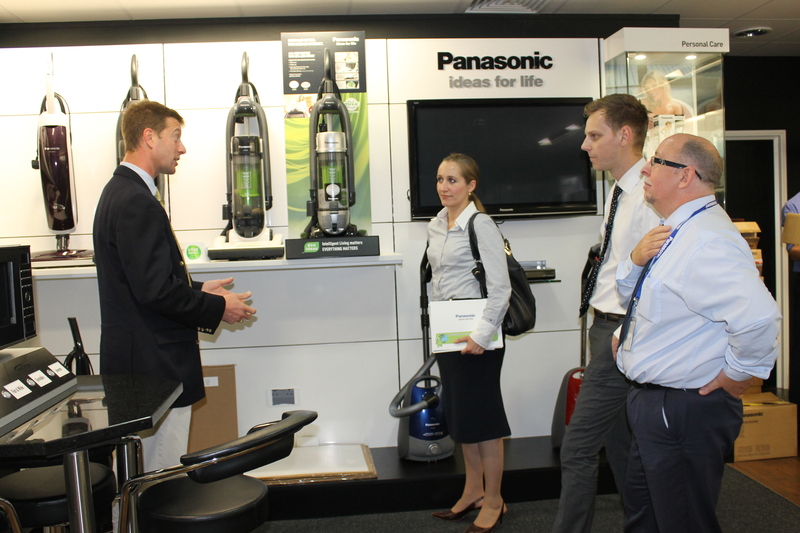 Later in the week, the British Safety Council visited Panasonic UK to learn more about how the business is positioning itself in relation to environmental product engineering. Following the launch of Panasonic’s ‘Green Plan 2018’ last year, the manufacturing giant has been working towards the business goal to be the number one green innovation company in the electronics industry by their 100th anniversary in 2018 . Together with the company’s health, safety and environmental affairs team, Keith Evans, Panasonic UK managing director, talked through the vision of not just products reflecting this ambitious environmental action plan, but employees. The plan outlines initiatives that all employees should take to become an industry leader in the green indexes the company has set covering areas like reduction of CO2, energy efficiency, resources reuse and recycling, and minimising water consumption. You can read more on Panasonic’s sustainability activities in the next issue of Safety Management magazine. Both meetings discussed the role of the British Safety Council in supporting members implement their corporate occupational health and sustainability activities. Members expressed interest in outcomes of the charity’s campaigning, influencing and lobbying work, an area both members acknowledged is fundamental in ensuring their health and safety objectives aligns with. The charity took on board the feedback and will work on further engagement with members on important legislative development in the coming months. On Monday I had the pleasure of a guided tour around the Olympic Park in preparation for a feature I’m writing for September’s Safety Management. Now, I must admit, I’m not a great sports enthusiast. Not anymore at least. I can image the 14-year-old me would have been ecstatic to visit the Olympic Park. But now I was excited to see firsthand how a dangerous construction site was managing safety. I was just a bit excited to be going to the Olympic Park before its open to the public. To begin with I sat down and had a chat with some of the people working on site to see how they have found the project. 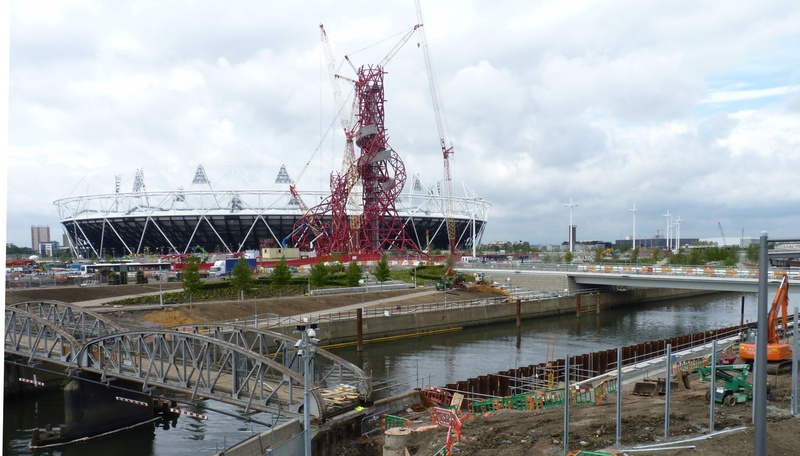 One thing that struck me is how everyone is incredibly proud, not only to be working on the Olympic Park, but to be part of a project that has such an excellent health and safety track record. So I got kitted out in my PPE and, escorted by the excellent guide Alan O’Hagan, assistant health and safety advisor at BAM Nuttall and former carpenter on the Olympic site, I had a wander around the Park. You really cannot escape from safety on the Park; it’s everywhere and seems to be at the forefront of everyone’s minds. I won’t list the initiatives in operation to make safety the top priority because it will take all day. But it was clear to me that everyone was engaged by the idea of safety. Safety is considered first before anything is done, which, considering construction is such a dangerous industry, is precisely as it should be. Some have expressed doubt about whether this can ever be achieved again. But I see no reason why this should be the case. So long as everyone involved in the Olympic construction phase, whether that be the project directors, health and safety managers and advisors, contractors, workers, office staff, take the attitudes towards safety with them as they move to other projects, imparting this knowledge and these ways of working to others, we could see safety as a top priority across the board. If the thousands upon thousands of people involved in some way with the Olympic project take something of the Olympic perception about safety away with them, we could well see a safer industry. My grandfather worked in construction his whole life, starting in the late 1940s and retiring around 12 years ago. I can’t help feeling if he went onto a construction site now he would barely recognise it. If he could visit the Olympic Park and see the advancements made in worker health and safety, I imagine he would be slightly shocked, but incredibly pleased. 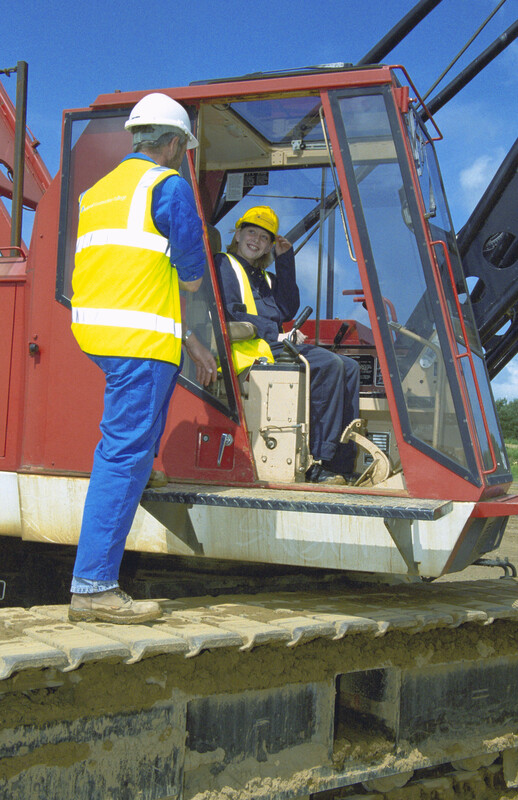 Read the full article in September’s Safety Management. Youth unemployment is a serious issue currently facing the UK. In February it was revealed that nearly one million 16-24-year-olds were out of work, the highest number since comparable records began in 1992. And as getting these young people back into work increasingly becomes a priority, so too must their safety in doing so. On Wednesday night I attended an All Party Parliamentary Group on Youth Affairs whose aim was to discuss the government’s work programme. The event was held at Portcullis house, chaired by Stewart Jackson MP and attended by the employment minister Chris Grayling, the Liberal Democrat deputy leader Simon Hughes, and a host of young people. Simon Hughes actively encouraged the audience to question Chris Grayling, telling us not to “let him off the hook”. Grayling outlined the elements to his strategy to provide unemployed young people with the support to get back into work. The approach will comprise of three schemes: the government is looking to create opportunities for young people to undertake eight-week work experience placements; it is looking to create far more apprenticeships – 250,000 by the end of parliament; and is currently compiling a list of employers from all sectors who will take on the services of the long-term youth unemployed, with incentives for them doing so. These employers have applied to the government for the right to be able to provide this employment. Should the initiative go ahead we could witness an unprecedented number of young people entering the workplace for the first time. While I appreciate the benefits embarking on a spell of work experience and gaining a valuable reference from an employer can bring, young people are more at risk of death, injury or illness for a number of reasons, namely a lack of experience and confidence. I’ve worked in risky and hazardous work environments in the past; I knew full well the risks, but did not have sufficient experience to demand the hazards were managed correctly. And I know I’m not the only young person who has done this. If the initiative is successful the companies employing this new generation of apprentices and workers need to effectively and supportively manage their safety and health. And I hope that outlining their health and safety policies and the special consideration they will give to young workers will have been a fundamental part of their application to the tender. I’m getting old. I know at 26 I’m comparatively young, but there are some days when I feel – as I’m sure many of you do – old before my time. They say you’re only as old as you feel. Well if that’s the case I’m about 56 today! It’s a lovely hot day outside and I’m writing an article for the magazine about the menopause at work. As I do my research, I joke with my colleagues about the fact I think I’m going through ‘the change of life’ 30 years early. “I’m sure I’m having a hot flush,” I panic, but they reassure me I just feel hot because it’s a hot day. However, reading on through my research I realise this is no joking matter. With around 3.5 million women aged 50 and over in work in the UK, the menopause is an increasingly important matter for workplaces to consider as it usually occurs between the ages of 45 and 55. But it seems there is very little awareness about this subject as an occupational health issue and it is somewhat of a ‘taboo’ topic. Symptoms that menopausal women can experience include hot flushes, headaches, tiredness, anxiety attacks and increased stress levels. High temperatures, poor ventilation and a lack of access to cold drinking water in the workplace can make all of these symptoms worse. 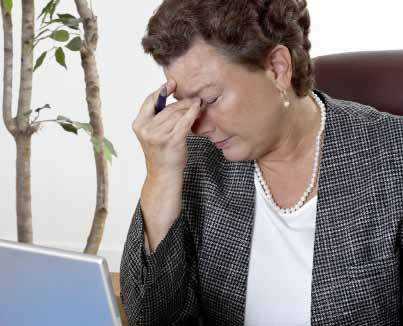 It is therefore important for employers to ensure that the conditions in the workplace do not make the symptoms of the menopause worse. Women often feel too embarrassed talking to their manager about going through ‘the change’, particularly if their manager is younger than them, or male. According to research from the British Occupational Health Research Foundation (BOHRF), nearly a fifth of women thought the menopause had a negative impact on their manager’s and colleagues’ perceptions of their competence at work, and felt anxious about this supposed drop in performance. And more than half of respondents reported that they were not able to negotiate flexible working hours or working practices as much as they needed to in order to deal with their symptoms. Employers therefore need to recognise that women of menopausal age may need extra consideration, as changes during the menopause can affect how a woman does her work and her relationship with her boss and colleagues. There is a lot that can be done to make the menopause a more comfortable experience. Work can be organised to include flexible hours, and issues around ventilation can be improved, such as providing a fan or having windows that open. A lot can be done without actually pinpointing menopausal women. It is just generally good practice to have these systems and processes in place. I’m not normally one to suffer in silence but putting myself in the shoes of a woman experiencing these symptoms, I think I’d find it difficult to talk to anyone at work about what I was going through. Hopefully, through more awareness, it will become easier for women to talk about the menopause and easier to continue working through this stage of life with minimal disruption. But in order for this to happen, there needs to be a change in attitude. I, for one, will think twice before making another ‘wise crack’ about having a hot flush. Read my article in full in the July/August issue of Safety Management magazine. As the number of 16-24 year olds out of work creeps ever closer to one million, Prime Minister David Cameron has said in an interview that in order to tackle youth unemployment, we need to make changes in the education system to ensure we produce young people with a real qualification that people need in the modern workplace. Surely at least part of that qualification should involve health and safety? We at the British Safety Council are doing our bit to educate young people, and last year, 36,000 school children and college pupils passed the British Safety Council’s entry level award in workplace hazard awareness or level 1 award in health and safety at work. But there have been calls for more to be done and to include health and safety on the curriculum in order to prepare young people and raise awareness of risks before they enter the workplace for the first time. Anthea Dennis, whose son died during his first week at work, believes schools should ensure young people are prepared before sending them on work experience. 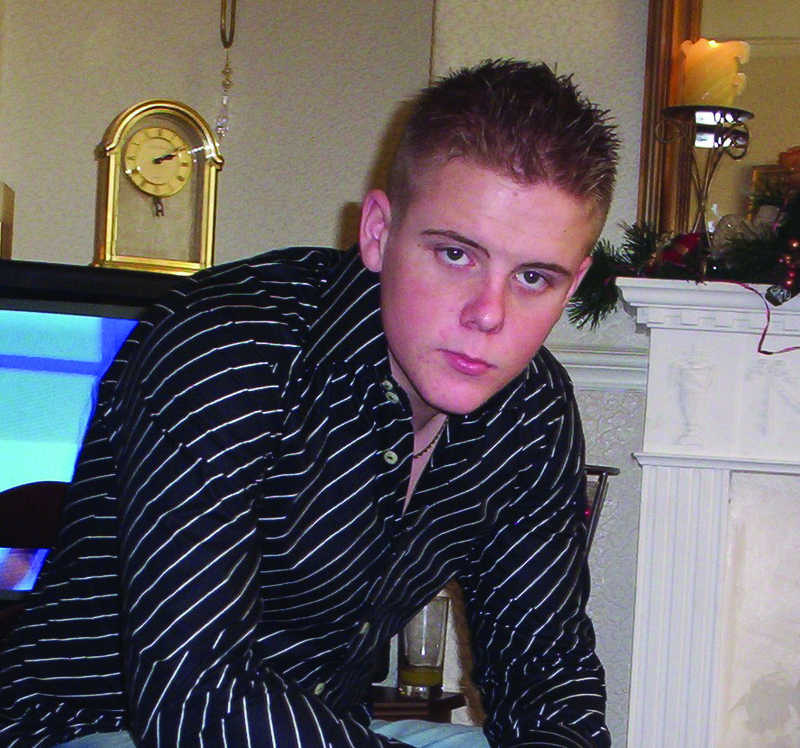 Daniel Dennis, from south Wales was just 17 when he died. He was working for North Eastern Roofing and, having only been in his job for a week, he was asked by his employer to go up onto a roof to fetch a piece of wood. There were skylights on the roof and because it was a sunny day, they were hard to see. The 17-year-old stepped through one of them and fell around 30 feet to his death. As a 17-year-old boy, Daniel was eager to please in his new job and did as he was asked by his employer. “He went up on the roof because he was asked to and he wasn’t scared of heights,” adds Anthea. “When people are young, they’re so enthusiastic and don’t have the necessary experience to think about the risks. The British Safety Council will be re-launching its award nominated Speak Up, Stay Safe campaign in June, designed to encourage young people to speak up if they have any concerns about their safety and prevent parents suffering a similar tragedy to that of Anthea Dennis. Visit www.britsafe.org/speakupstaysafe for more details. If you’re still ‘umming’ and ‘arring’ about whether to apply for an International Safety Award this year, you haven’t got long left to register your interest. The deadline to register is 15 March and applications must be received by 31 March. 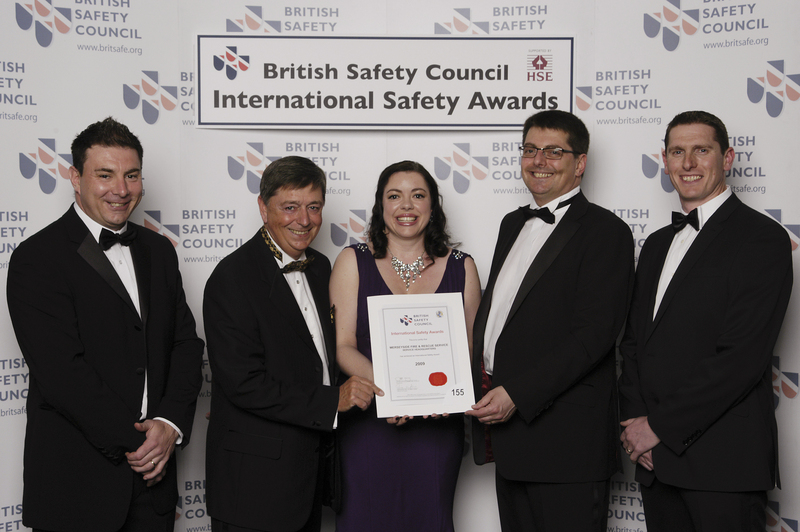 “Myself, the occupational health manager and two other colleagues attended the International Safety Awards ceremony last year. It was a great success, very well organised and hugely entertaining. “The night provided an opportunity for us as an organisation to celebrate our achievement. In the health and safety field it is all too easy to concentrate on what is not working well rather than what is working well. We also had the benefit of being able to talk with other award winners, not only from the fire and rescue arena, but wider industries. “I thoroughly enjoyed the ISA banquet ceremony. The various speeches and the entertainment were particular highlights for me. “An end to a hard year and the success of receiving the award were the main benefits to me as well as mixing with others equally committed to raising health and safety standards. “I believe it’s extremely important to celebrate success. Health and safety gets enough bad press and many don’t understand what we do and the reasons why we do. “We decided to apply for an International Safety Award to get third-party accreditation for our management systems. 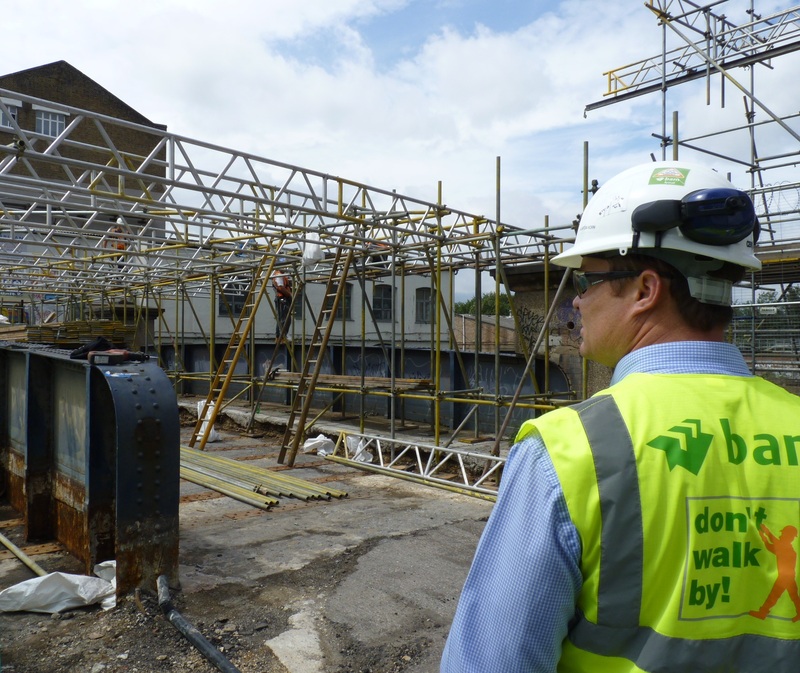 “As a member of the Severfield-Rowen PLC Group, Watson Steel Structures Ltd has always put health, safety and environmental performance at the heart of its business. We made the decision to apply for the International Safety Award to highlight to our clients and partners our ongoing commitment to the health and safety. “Essex Probation decided to apply for the International Safety Award to benchmark its health and safety management system against other similar organisations both nationally and internationally. I hope this has encouraged you to apply for an International Safety Award and I look forward to seeing you at the banquet. Visit www.britsafe.org/isa for more information.